A nurse from Nottingham’s Children’s Hospital at Queen’s Medical Centre has become the first children’s nurse in the country to be awarded a prestigious Clinical Lectureship Award from the Department of Health and Social Care. 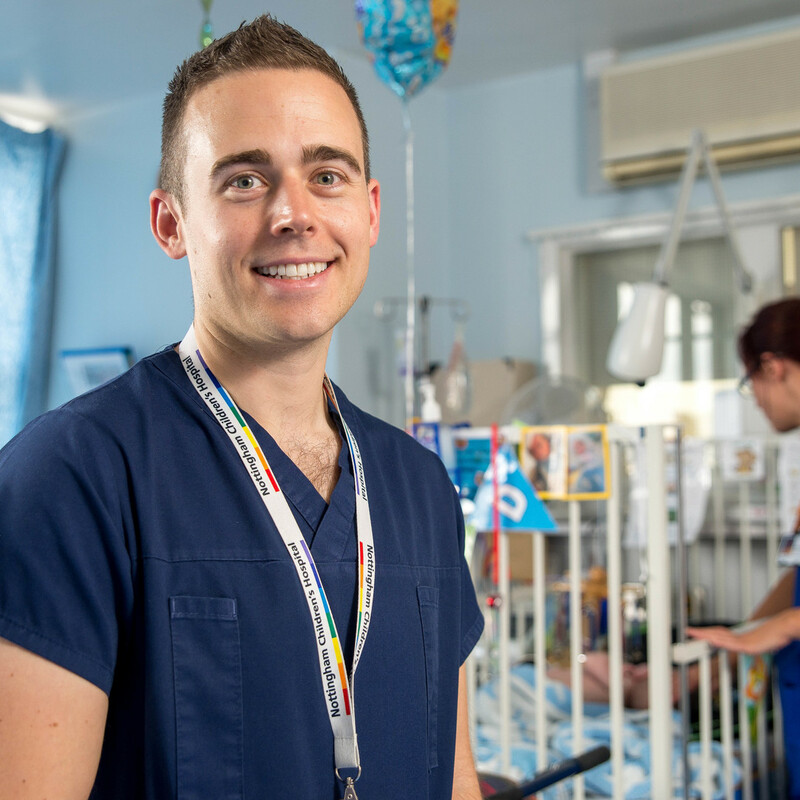 Joseph Manning, Charge Nurse in the Paediatric Critical Care Outreach Team at Nottingham Children’s Hospital is also the first registered nurse in the East Midlands to be awarded this accolade. The Lectureship is a three-year award funded and administered by Health Education England (HEE) and the National Institute of Health Research (NIHR), and begins on 1 April 2019. Dr Manning has worked at NUH for 14 years, and is committed to achieving nursing excellence and further improving outcomes for children and young people. Conducting a multi-centre longitudinal study which looks at the clinical outcomes for children and families after being discharged from a Paediatric Intensive Care Unit (PICU), known as the OCEANIC study. Results from the study will be shared with families, national organisations, NHS commissioners, policy makers and the international paediatric intensive care community. Dr Manning will be supported by a very strong UK team of clinicians and academics – Professor Jane Coad, University of Nottingham; Dr Philip Quinlan, HDRUK, University of Nottingham; Professor Elizabeth Draper, University of Leicester; Professor Jos Latour, University of Plymouth. Working with national leaders for Children and Young People Health Care at NHS Improvement on how policies are influenced, developed and implemented. An invitation to work with Professor Martha Curley (Ruth M. Colket Endowed Chair in Paediatric Nursing; Professor of Anaesthesia and Critical Care Medicine, Perelman School of Medicine) at the University of Pennsylvania and Children’s Hospital of Philadelphia (USA) who is the global leader for paediatric critical care nursing research. The results from the research will help inform the clinical care of patients and their families across Nottinghamshire and internationally. The results from the research will help inform the clinical care of patients and their families across Nottinghamshire, the UK and internationally.